Remember last spring when Nina Dobrev and Ian Somerhalder first ended their three year romance and she opted to heal her broken heart by cavorting with equally broken Julianne Hough? It was probably only a matter of time before Jules decided to try and pair her new BFF up with her brother, Derek Hough. At first the new couple seemed to click pretty well and after 6 weeks on the DL Nina and Derek were finally spotted grabbing dinner together in public. In other words, it looked like things were progressing enough to be seen together and then all of a sudden, bam it was over. Just like that. So what happened? Well according to the Nov. 4th print edition of Star Magazine Ian Somerhalder is what happened. Not only are he and Nina still connected at the hip but she even double checked with Ian before going to dinner with Derek! Obviously her The Vampire Diaries costar still has a strangle hold on Nina and once Derek really realized just how hooked on her ex she still is, he pulled the plug. I get that once a couple splits there usually is an angry phase that’s only natural and once they get through that then maybe they can kind of be friends. This just sounds like Nina is still waiting for Ian to come back to her full time, doesn’t it? Do you think that he will? I mean he is clearly playing the game and keeping her on the hook so is it to reconcile or is poor Nina just a back up plan? Tell us your thoughts in the comments below! 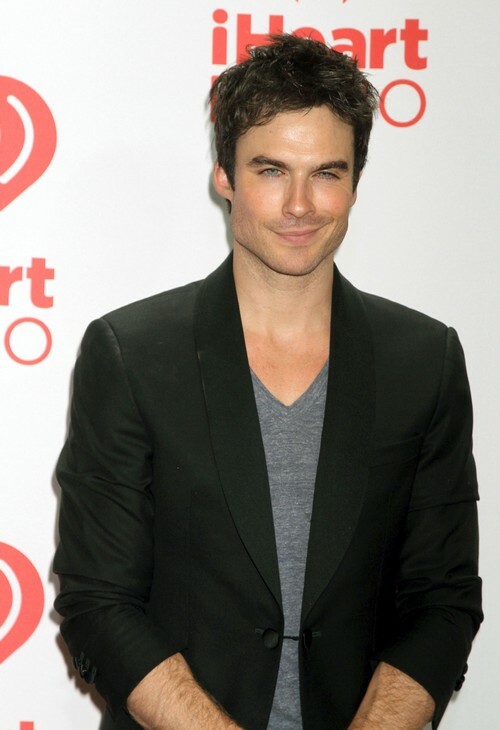 Ian Somerhalder Caught Cheating on Nina Dobrev – The Beginning of the End! Nina Dobrev Trying To Make Ian Somerhalder Jealous – Find Out How!